Justice Muhammed Idris of the Federal High Court in Lagos, on Monday, ordered former Governor of Abia State Orji Uzor Kalu to return from Germany within seven days and appear before the court. Hearing in the trial Kalu, for an alleged fraud of N7.65bn was stalled on Monday due to the absence of the ex-governor from court. 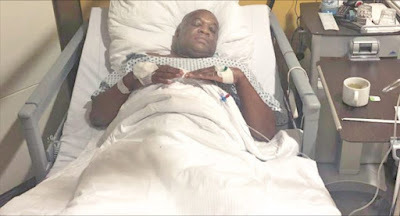 Kalu’s lawyer, Prof Awa Kalu (SAN), told Justice Idris that his client was away in Germany for a surgical operation. The defence counsel said the prosecutor for Economic and Financial Crimes Commission, Rotimi Jacobs (SAN), was aware of the development and urged Justice Idris to further adjourn the case. Jacobs described the ex-governor’s absence from court as an attempt to frustrate the case, and urged Justice Idris to interpret Kalu’s absence to mean that he had jumped bail. The case was adjourned till November 12, 2018 for continuation of trial.